In 2204, humanity is expanding into the wider galaxy in leaps and bounds. Cutting-edge technology of linked jump gates has rendered most forms of transportation—including starships—virtually obsolete. Every place on Earth, every distant planet humankind has settled, is now merely a step away from any other. And all seems wonderful—until a crashed alien spaceship of unknown origin is found on a newly located world eighty-nine light-years from Earth, carrying a cargo as strange as it is horrifying. To assess the potential of the threat a high-powered team is dispatched to investigate. But one of them may not be all they seem . 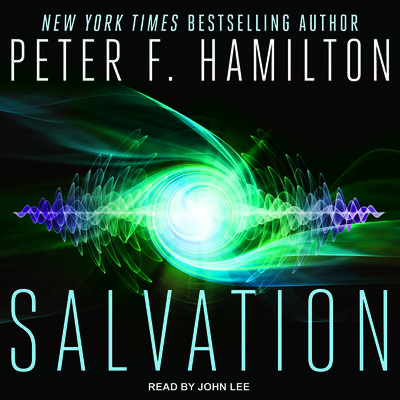 . . Bursting with tension and big ideas, Salvation is the first book of an all-new series that highlights the inventiveness of an author at the top of his game.